Effecieincy enhancing, citizen friendly E-Governance Solutions for Government agencies, public sectors. A minimum viable product that can take you to the market quickly. A full scale launch of your product is smooth and easy with our help. Don’t choose solution where you fit in, choose what fits you. We believe in developing custom solutions for our clients that exactly suits their requirements and needs. Right from creating an online identity for your business to enlarge your wings globally and competing in digital world, we use all possible online mediums to enhance your business. 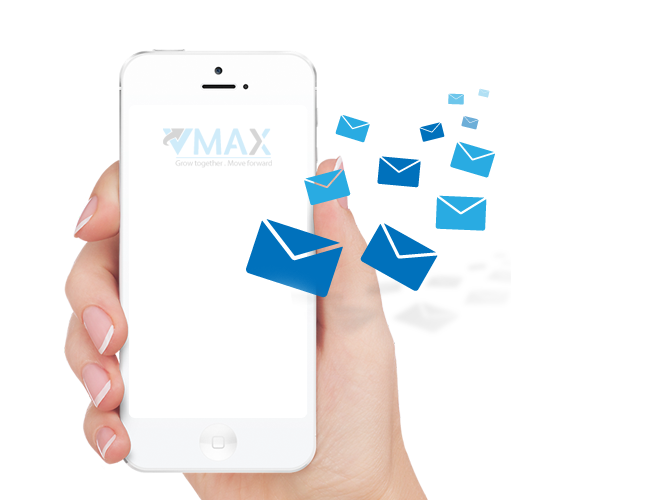 Our Enterprise Communication tools are easy to use, economical and powerful mediums for promoting your business to customers in your area, straight to their mobiles. With our two way Interactive Message and voice solutions always be reachable to your customers, respond them smartly and track your customer voice. We empower the government bodies by developing customised applications and programs using IT & VAS solutions. Every business is different, so are the solutions. We offer solutions that work for you. 80% of our clients are derived from word of mouth referrals. This statistic alone sets us apart. We had the pleasure of working with VMax during the development of our web site. It was more of building a high standard portal in the industry that builds our brand. These guys indulged themselves in a deep research and came up with a great portal that has finally set a benchmark in our industry. Apart from just being a designing company, it has been our best consultant for building our brand online. When I had approached VMax I was just thinking to get a Website for us. On general talk I had explained my business & my marketing strategies. I was advised to invest some amount, which very less than what I’m investing now & assured I would have much better results. They had planned things according to my business and run a Trial promotional campaign online. Than I had completely invested in this and I honestly benefitted from their strategies and I’m always able to fill accommodation full in all seasons. Best wishes to VMax.